The congregation of Zion Mennonite Church will hold its 47th annual quilting workshop. 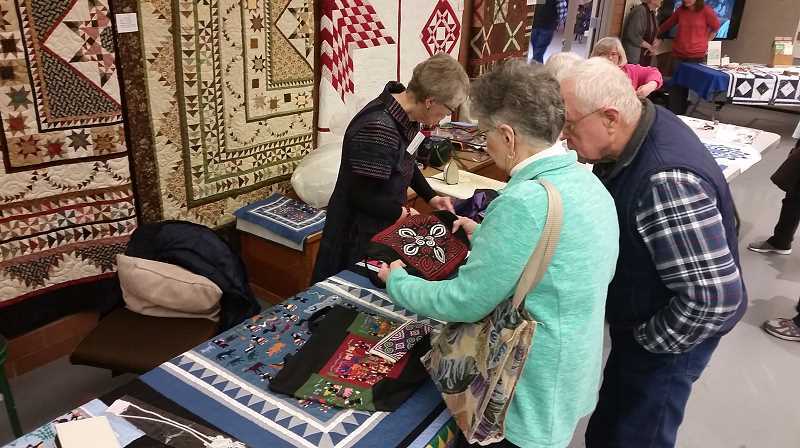 The three-day workshop includes a display of quilts, wall hangings and comforters ranging from the latest techniques and colors to century old heirlooms. Approximately 1,000 people attend this event each year. The workshop are Thursday-Saturday, Feb. 21-23, from 10 a.m. to 3 p.m. each day. There is no admission charged but donations are accepted for the Senior Center in El Torno, Bolivia. The Senior Center has served as the community/social center for the village since it was built in 2001. Zion Mennonite Church volunteers will serve a soup and bread lunch each day from 11 a.m. to 1 p.m. on a $4 suggested donation basis. Italian wedding soup will be served on Thursday and Saturday, with ham and potato corn chowder available on Friday. Each day, workshop volunteers are available to guide visitors through every step in the quilt making process -- from choosing fabric and a quilt pattern to cutting and piecing the quilt top, choosing your batting, securing the whole project into a quilting frame, quilting, and finishing the edges with binding. A "learner's quilt" is set up and available for anyone who would like to sit down and try quilting with an experienced quilter to assist and instruct them. Nearby is a comforter tying demonstration with extra needles and thread ready for visitors to join in. -Thursday: Anita Lindberg - Disappearing Four Patch with a twist. -Friday: Karen Stephens, proprietor of "Speckled Hen Quilts" - use of the pineapple trim tool from creative grids. -Saturday: Annette Mandel - English paper piecing, Anita Lindberg - Disappearing Four Patch with a twist. The event also has a large array of fair trade handicrafts including baskets, jewelry, toys, and woodcarvings from One Fair World in Salem. Proceeds help to alleviate poverty for the crafters and farmers who create the works of art. Zion Mennonite Church is at 6124 S. Whiskey Hill Road near Hubbard. In the case of inclement weather on Wednesday, Feb. 20, the workshop would be postponed one week. For more information, visit the church website, or call the church office at 503-651-2274 or Louise Gingerich at 503-651-2816.